COME: Comedy open mic evening. Comedy is the only thing keeping people alive these days. 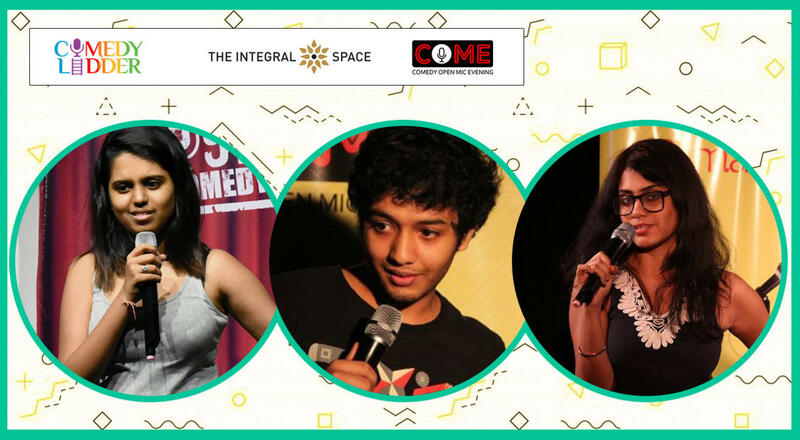 COME spend your evening with Our Host Prashasti Singh and 8 new comics who you have never seen before but will enjoy. If you like comedy come to support someone's first time! A great way to spend your Tuesday evening. Doing open spots would be Masoom Rajwani & Aishwarya Mohanraj. Prashasti Singh is yet another IIM graduate searching for meaning outside academic excellence and material achievement. She is one-tenth of the choir group 'The Etceteras' and has already won several stand-up competitions on the Mumbai circuit. Between stand-up and Improv she has found space for expressing her small-town sensibilities amidst big town hustle. In the end, it may just turn out to be another Amethi to Andheri story but at least we had some good laughs along the way. Aishwarya Mohanraj is an upcoming comic and has featured in several shows. She was also a part of Amazon Prime Orignal "Comicstaan"